A horse collar is a part of a horse harness device used to distribute load around a horse's neck and shoulders when pulling a wagon or plow. The collar often supports and pads a pair of curved metal or wood pieces, called hames, to which the traces of the harness are attached. The collar allows a horse to use its full strength when pulling, essentially allowing the horse to push forward with its hindquarters into the collar rather than to pull with its shoulders as it would be required to do if wearing a yoke or a breastcollar. The collar is also an improvement on the yoke as it reduces pressure on the windpipe. From the time of invention of the horse collar, horses became extremely valuable for agricultural success and for pulling heavy vehicles. When the horse was harnessed with the horse collar, the horse could provide a work effort of 50% more foot-pounds per second because of greater speed than the ox, as well as having generally greater endurance and ability to work more hours in a day. The horse collar was important in the development of Europe, as the replacement of oxen with horses for ploughing boosted the economy, reduced reliance on subsistence farming, and allowed the development of early industry, education, and the arts in the rise of market-based towns. 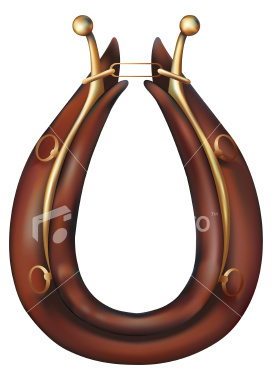 A horse collar is oval rather than circular and it is by design not very flexible. It is a padded appliance that conforms well to the shape of the horse's body. 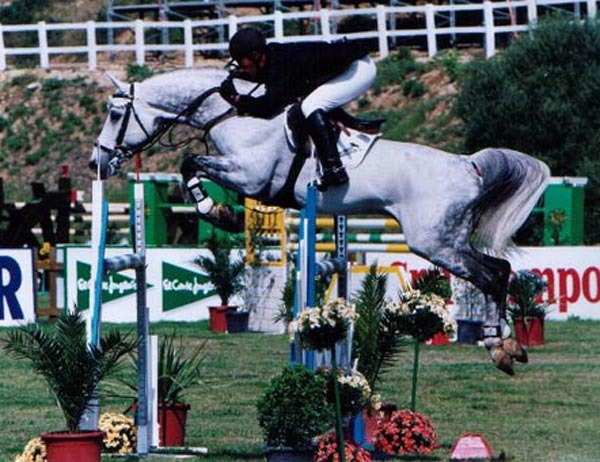 It is constructed so that at all points of contact with the body of the horse it avoids the air passage. By protecting the airway of the horse it became possible for the animal to use its full force to pull a load. Long before the horse collar harness, there was the less efficient throat-girth harness. This could be found in many ancient civilizations, brought to the attention in the European intellectual sphere of the early 20th century French cavalry officer Lefebvre des Noëttes. This type of collar was known in ancient Chaldea (3rd millennium BC), both Sumeria and Assyria (1400 BC–800 BC), New Kingdom Egypt (1570 BC–1070 BC), Shang Dynasty China (1600 BC–1050 BC), Minoan Crete (2700 BC–1450 BC), Classical Greece (550 BC–323 BC), and ancient Rome (510 BC–476 AD). With this ancient harness, ploughs and carts were pulled using harnesses that had flat straps across the neck and chest of the animal, with the load attached at the top of the collar, above the neck, in a manner similar to a yoke. These straps pressed against the horse's sterno-cephalicus muscle and trachea which restricted its breathing and reducing the pulling power of the horse. Thus, the harder a horse pulled, the more strongly it choked off its own breathing. Because of these physical constraints, oxen were used in preference to horses for heavy work, as they do not have this problem due to anatomical differences and could be yoked to their loads. The throat-girth design was not improved until the Chinese breast-strap or "breastcollar" harness developed during the Warring States (481 BC–221 BC) era in China. The Chinese breast harness became known throughout Central Asia by the 7th century. The problem with a breastcollar harness was that the actual shafts of the cart, chariot, or other vehicle are attached to a surcingle around the barrel of the horse. The breastplate primarily kept the surcingle from slipping back, not as the primary pushing object. 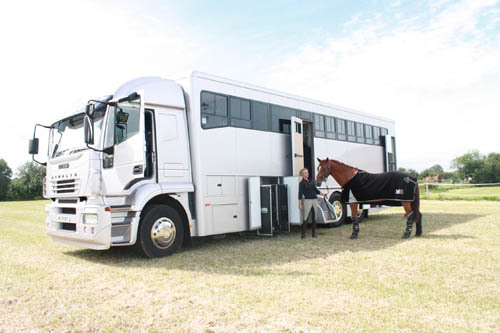 This results in the horse literally pulling the load, a less efficient use of the animal. The modern breastcollar has traces which transfer the pull directly from the breastcollar, but a horse collar still is more effective for pulling heavy loads. The horse collar eventually spread to Europe circa 920 AD, and became universal by the 12th century. The Scandinavians were among the first to utilize a horse collar that did not constrain the breathing passages of the horses. Prior to this development, oxen still remained the primary choice of animal for farm labor, as all the previous harnesses and collars could only be worn by them without physical penalty. Additionally, the yoke used to harness oxen were made exclusive to each individual animal. However it was sometimes difficult to cultivate the land; based upon soil condition, it may have taken up to sixteen oxen to effectively use a single heavy plow. This made it difficult for farmers who lacked the capital to sustain such large numbers. When the horse was harnessed with a horse collar, the horse could provide a work effort of 50% more foot-pounds per second because of greater speed than the ox, as well as having generally greater endurance and ability to work more hours in a day. The centuries long association that the Europeans had with the use of horses allowed an easier transition from oxen-based harnesses to the horse collar. Following the introduction of the horse collar to Europe and its use being clearly evident by 1000 AD, the use of horses for ploughing became widespread. Horses work roughly 50 percent faster than oxen. Using horses (and a slightly improved plow), peasant farmers could produce a surplus. A surplus gave them goods to trade at crossroads markets on weekends. Markets soon turned into towns. Towns meant some folks could give up farming and just make goods for sale. A proliferation of such goods meant some people could live purely by buying and selling. Hence the horse collar played a pivotal role in ending the feudal system and launching the rise of Europe. The creation of the horse collar removed the previous physical restrictions the old harness had on the animal, and allowed the horse to be able to exert its full strength in plowing. Originally, the structure of the old harness forced the horse to literally pull its workload the horse collar's development instead allowed the horse to push its workload, increasing the efficiency of its labor output. Combined with the horseshoe, the heavy plow, and other developments in the agricultural system, the efficiency of the European peasant farmer in producing food increased, allowing further societal development in Europe. The surplus in food allowed labor specialization as farmers could change their occupation and focus on other skills, such as the purchase and selling of goods, resulting in the emergence of a merchant class within European society. The horse collar was one of the factors in the ending of the feudal system and transition from the Middle Ages. The French cavalry officer Lefebvre des Noëttes experimented with the ancient throat-and-girth harness in comparison the later trace breast-harness and the finally the matured form of the medieval collar harness. In his experiment of 1910, he found that two horses (aided by effective traction) using the throat-and-girth harness were limited to pulling about 1100 lbs. (½ ton). However, a single horse with a more efficient collar harness could draw a weight of about 1½ tons. Pink Equine strives to offer only the highest quality matching bridle work and equestrian horse tack. "In everyday life we use colour and design to express a little about ourselves. It's those things that are part of what makes us individuals, what makes us unique." Along with the saddle, the bridle is the most obvious piece of tack when you look at a horse. It can also look like the most confusing and complicated, especially when you are confronted with putting it on. But rest assured, once you get used to doing it, it will pop on and off safely in no time at all.